Who doesn't love to show up at a fourth of July party and see a table spread covered in their favorite patriotic colors? At Ontario Bakery, we're excited to wear our colors and want to share our favorite ways that you can too - in the most fun and delicious ways! 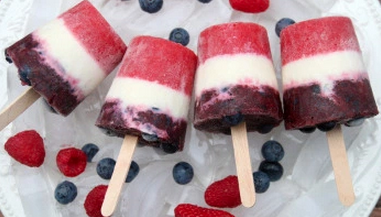 These patriotic food ideas are easy to make and even easier to enjoy! This tried and true chocolate lovers delight is sure to be a hit at the party. You can make them from scratch or use a box. No matter what, the fun is in the colors. Get the details for this simple recipe by visiting the food blog, Spicy Southern Kitchen. 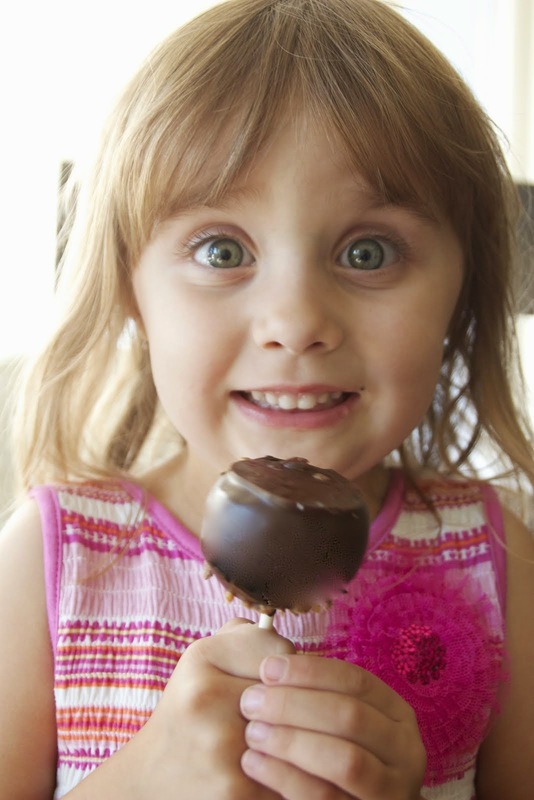 If you never thought you'd hear the words "healthy" and "popsicles" in one phrase then you haven't experienced the gold! First, grab some popsicle molds. Then, make three different purees and pour them into different jars or cups. 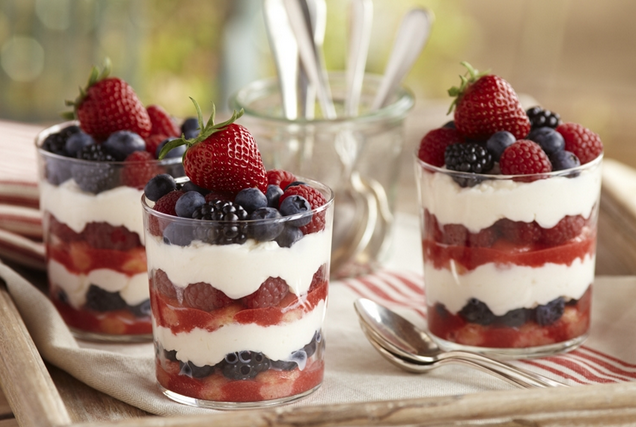 Make one for blueberries, one for bananas and one for strawberries. Once they're all separately blended, pour equal parts (in thirds) of each fruit, into the molds. Start with strawberries, then the bananas and then the blueberries! Yum fun! It's way more fun to eat that say. This recipe is the perfect balance of all the taste flavors, satisfying just about every craving! Bonus? Watermelon is ridiculously hydrating for the notably hot holiday! 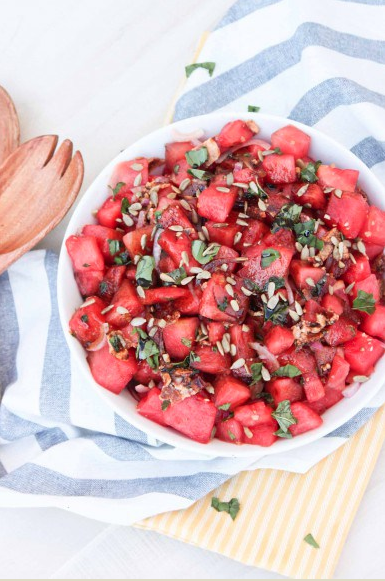 Get the recipe at Simple Roots Wellness. This is an easy one to have ready. You'll need some small cups and a good blender. Put greek yogurt in the blender, with 1 or two bags of frozen blueberries, adding a splash of vanilla. Pour the puree into each of the cups. Then top each serving with a little whipped cream and a few fresh raspberries for the final touch. You can even double it up for a layered creation. De-licious! Want Something Perfect without the Extra Work? 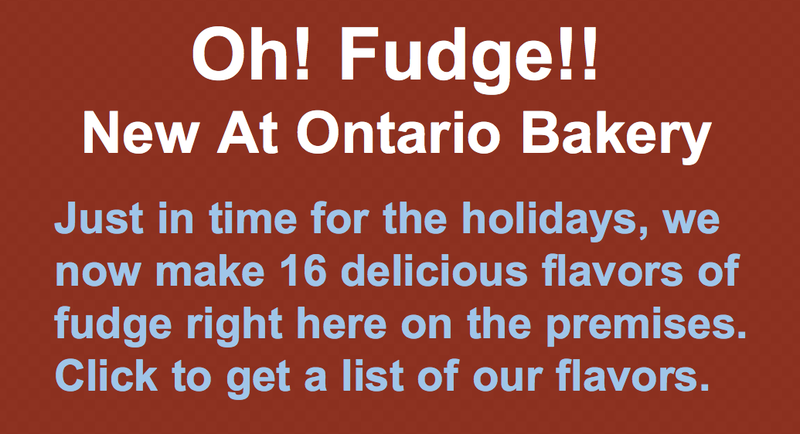 Let Ontario Bakery do the job for you. 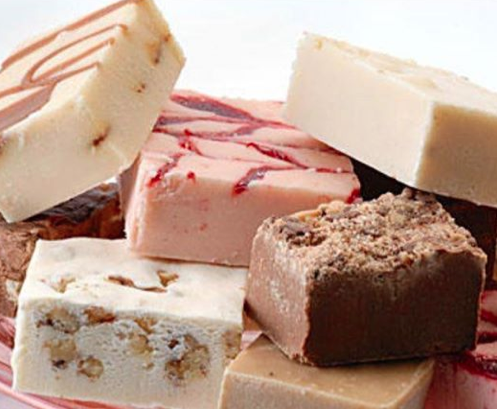 We specialize in custom baked goods, including cakes, cookies, cake pops, cupcakes and more! Every dessert we've ever made has left the crowd wanting more, and we're sure we will do the same for you! This 4th of July is sure to be a good one, but make it great - with more color, more smiles and far less stress! Call us and place your order today!